Fussion reactions create and expanding electromagnetic field inside the chamber where the reaction takes place and the superconducting magnetics are expelling or in this case containing the expansion energy within or compressing it inward. 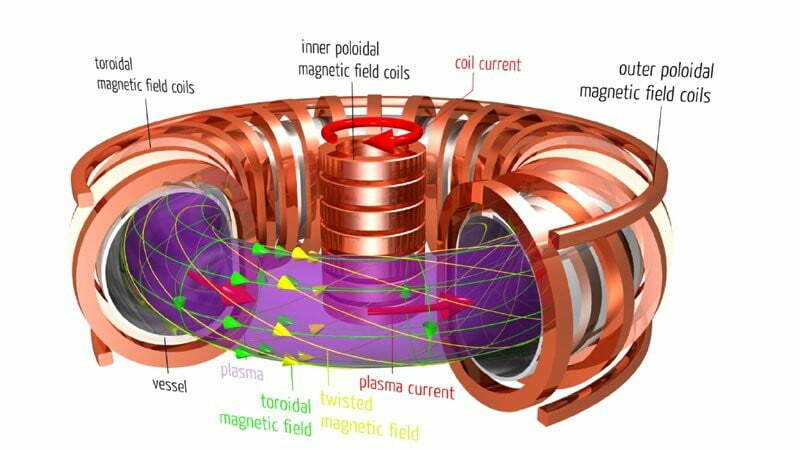 This is what is called torriod coils and they will appear to be over lapping so as to keep energy from leaking by them. We have guessed at how the earth does it but we are not a 100% sure but we can measure it and learn from it and other planets to maybe figure it out. Earth is constantly being hammered by charged particles emitted by the Sun that have enough power to make life on Earth almost impossible. We survive because Earth's magnetic field traps and deflects these particles, preventing the vast majority of them from ever reaching the planet's surface. I will try to play nice. Well, I am aware of notions of artificial planetary magnetic fields, and the hoped results. I also find that I have some very dark notions of the productive output from the efforts. But…. :) we can consider some alternatives which may overlap, and also attempt to include as much as possible the various "Spit Balls" that are being contemplated to be cast at the wall of Mars. We can hope some can stick, we can hope that with a master shell of plans we can foster the sticking, and the better possibility of success. Assuming that you might allow me to operate in pompous mode, here I go. My own current notions think that we could accommodate both the SpaceX and the Gateway and LOP-G peoples and indeed others that may demonstrate actual movement to Mars, and hope to integrate it all. Not guarantee, just try, try again. I will suppose that SpaceX might pull it off. I would rather support their try than oppose it. I would hope that others would stand up and hold them steady for the effort. Win or loose, the matter will be settled. The planet successfully settled or not. We take chances some times. But a magnetic field for Mars? I understand to a degree the idea of a singular field. Perhaps in L1-Mars? Well, who is going to pay for that and what will it get who? Of the gasses willing to leave Mars, Hydrogen being the most unfaithful to Mars. Isotopes of Hydrogen suggest quite a historical loss of Hydrogen. I think it is reasonable for me to suppose that the loss of Carbon and Oxygen might be lower. But then where are those items? My argument of an atmosphere going underground seems reasonably reasonable (To me), but then what about Argon? Can we put that underground somehow? Where is it? 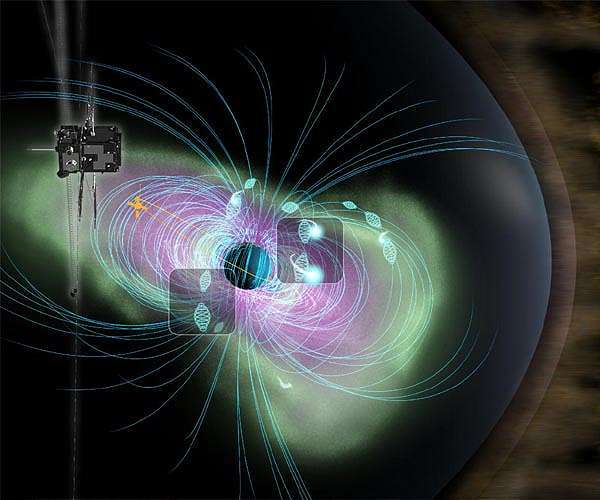 Gone with the solar wind, or is there a way for it to accumulate elsewhere? Unsure absolutely. So, I choose to accommodate, whatever tries are tried. I also support orbital space habitats with synthetic gravitation and in part protection from radiation by habitat magnetic fields. Each then having a magnetic field for selfish interests of personal protection still being a part of a greater protective shield around the planets, Mars and/or Venus. From each planet available to orbit are Nitrogen and Oxygen and other things. From some sources at first, the Moon, Asteroids, and even Mercury I at first propose heavier materials. Eventually heavy materials from the surfaces of Venus and Mars as well. The orbital habitats around Mars being protected from volatile losses by a collective magnetic field. An interaction with each habitat with each other, and also the fossil magnetic fields of Mars. And yes people on Mars if it seems reasonable and moral. Yet connected to a whole solar community. 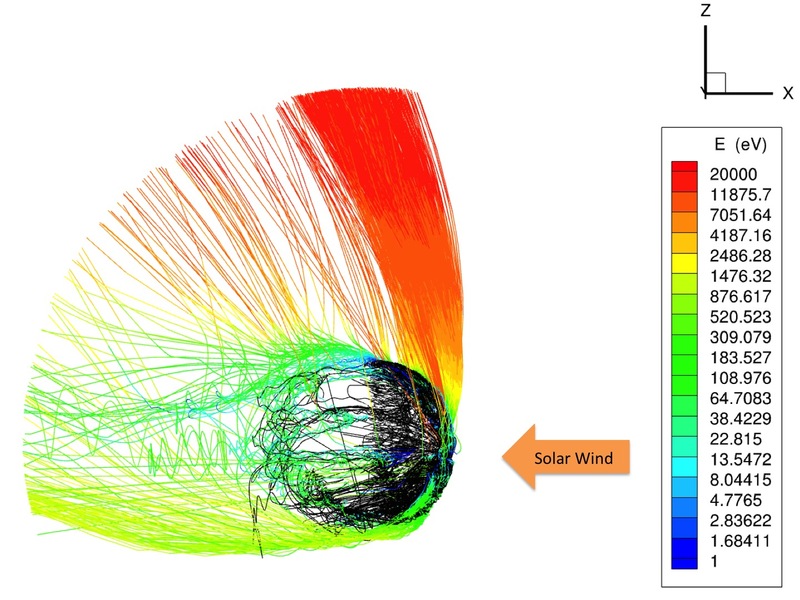 The magnetic community around Mars quite complex in their magnetic interactions. Not as simple as a rotor/stator arrangement.